A train ran over more than 100 people this weekend in northwest India and more than 50 have died. 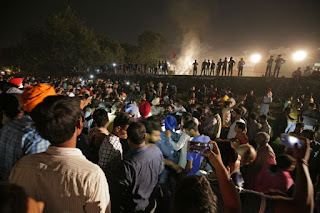 The masses were standing on the railways watching the flames of the Ravana, a Hindu religious festivity. Survivors said they could not hear that the train was approaching due to the noises.